Pharma and PSU Bank stocks underperform. Indian equity markets continue to trade with a negative bias, but have managed to recover marginally from the low point of the day. 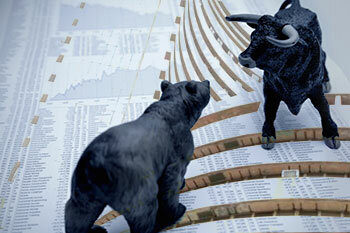 The Nifty is currently trading 24 points lower at 10,919, while Bank Nifty is 42 points lower at 27,251. Among the sectoral indices, Nifty Pharma and Nifty PSU Bank indices were the top losers down 1.8% and 1.67%, respectively. Apollo Hospitals was the top loser in the F&O segment down 11.91% after the company posted a weak set of Q3 numbers. On the options front, call writing was witnessed in OTM strikes with Nifty 11100CE and 11200CE seeing an addition of ~2.82 lakh shares and ~2.45 lakh shares, respectively.